In lieu of flowers donations may be made to Hospice Compassus or El Dorado Springs United Methodist Church. 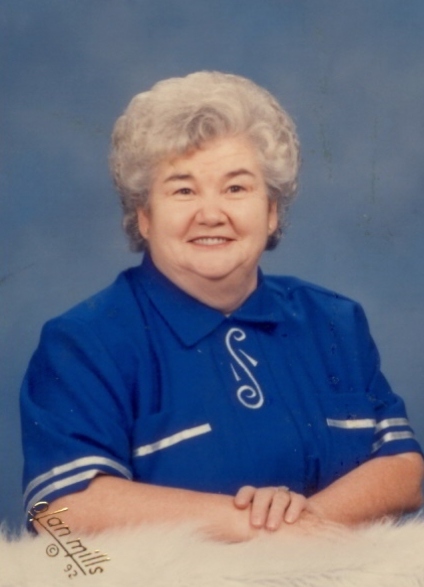 Judith Rae (Chandley) Russell, age 79, of El Dorado Springs, MO, passed away March 2, 2011. Judy was born in Edwardsville, KS, on February 8, 1932, the youngest child of Prometheus (Pete) and Tokeh (Shannon) Chandley. She attended elementary school in Edwardsville and high school at Bonner Springs, KS. Preceding Judy in death were her parents; eight sisters; six brothers; her husband, Robert Dean Burress; one granddaughter, Lisa Marie; and one great-great-granddaughter. Judy had five children: four from her first marriage and one from her second to Carl Edward (Butch) Russell. Judy is survived by her five children: Rita Crocker of Holden, MO; Roberta Green of North Pole, AK; Rebecca McKee of Kuttawa, KY; Robert Burress of Lander, WY; and Sharon Bray of St. Cloud, FL; eleven grandchildren; numerous grand-grandchildren and three great-great-grandchildren. Also surviving are four foster children: Sam Elliott, Chris West Cochran, Jessie and James Sprinkle. Judy began nursing school after she became a grandmother. She was a graduate of the second class for Registered Nurses at Metropolitan Junior College, Kansas City, MO, in 1969. She began her nursing career as a hospital nurse at Cedar County Memorial Hospital. She also worked at Nevada State Hospital, Sac Osage Hospital, Bethany Memorial Hospital in Kansas City, KS, and Brownsville Medical Center in Brownsville, TX. She loved nursing, but especially loved caring for the elderly. Her love for nursing homes started in 1981, when she was the Director of Nursing at the Community Care Center in El Dorado Springs. She was once told by an “older” nurse that someone has to love our “old” people, and Judy loved the “old people” and has always felt like they loved her too. Besides working in nursing homes in Stockton, Nevada, Humansville, Lamar, Bolivar, Butler, Lowry City and Appleton City, she has taught EMT, Certified Nurse Assistant and Certified Medical Technician classes. Judy was a member of the United Methodist Church, as well as the Fraternal Order of Eagles.